Fiorella Graybill was hired as an Associate Attorney with Mullen & Filippi in our Firm’s Los Angeles office in 2016. She began her experience in workers' compensation in 2012. Fiorella earned her graduate degree in Law and Political Science from Universidad Nacional Pedro Ruiz Gallo in Lambayeque, Peru. While in law school, she interned at SUNARP Lambayeque--the government entity for title registration--as well as the Superior Court of Lambayeque. Fiorello began her career at a firm in Peru, where she litigated in the areas of civil, labor, real estate and commercial law. After moving to the United States and becoming a naturalized citizen, Fiorella was admitted to the California State Bar. Subsequently, she opened a law practice in Los Angeles, specializing in immigration, bankruptcy, and international trade law. She then joined a worker's compensation defense firm, where she handled all phases of defense, including fraud detection. She is an aggressive litigator, who has already prevailed in arbitration and obtained a “take nothing” for her clients. 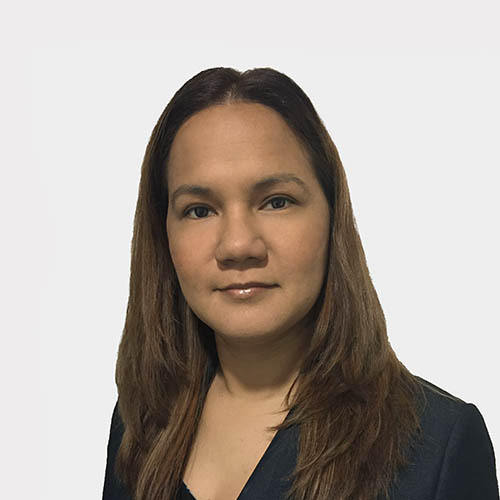 Fiorella brings a diverse background and broad range of professional experience to the Firm. She is licensed to practice law in Peru since 2005 and in California since 2012, is a certified mediator and arbitrator in Peru, and is fluent in written and spoken Spanish. My interest in the law began at age 9 while growing up in Peru. I was on break from school and my single mother, who worked as a public defender, was forced to bring me to work with her one day. She instructed me to hide under the attorney's box and remain quiet while she argued her case. To this day, I still recall the effect it had on me, witnessing her arguments. It was then that I first developed a passion for finding and defending the truth, and the sanctity of the law. My mother, who went on to become a criminal judge while raising three children, has always been my greatest inspiration. In my spare time, I enjoy learning foreign languages, hiking, traveling and spending time with my husband.